Last year, a friend shared a picture of a quilted cross wall hanging that had gone viral across Facebook. I had a request to make one. After doing some research, I was able to make up a pattern for the quilt. It's based loosely on a log-cabin design and uses strip-piecing (which is so much easier than cutting out individual pieces - thank you to my sister for sharing that tip with me!). I used a couple of prints from Moda's Wildflower Basics, Wilmington Essentials, and a Grunge print by BasicGrey for the quilt. 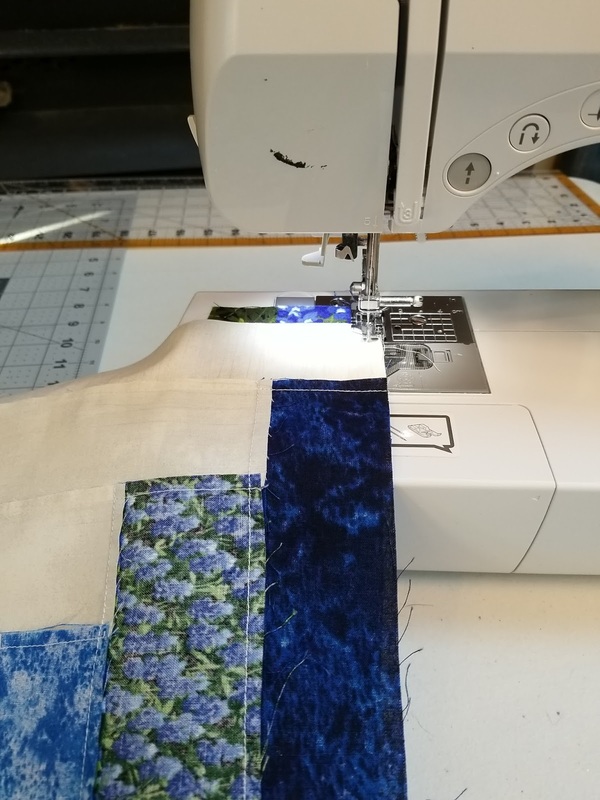 When it comes to sewing and quilting, I am not a pinner. I don't like pinning things - I hurt myself way too often! So, for making a quilt sandwich, I prefer to use spray adhesive. I've completed a couple of quilts using this method. It works pretty well. However, when it's cold outside, it's really uncomfortable - my hands get cold, my toes get cold, AND, I just recently found out that my spray adhesive doesn't work in freezing temps! The batting is a great size for a wall hanging or a small quilt. It is very soft, too. It can be quilted up to 10" apart. It's machine washable and dryable or it can be dry-cleaned. And, it's solvent-free, so it's better for the environment than sprays and it won't gunk up your machine. For fusing, you lay your top on the fusible side of the batting (it's shinier), then iron. It was by far much easier to use than spray adhesive. It adhered nicely. There were a couple of times when I had wrinkles. I was able to pull the fabric away from the batting and re-iron. It worked great. The only issue I had was that the batting only has fusing on one side. I needed to pin the backing onto the quilt top & batting in order to make my sandwich. 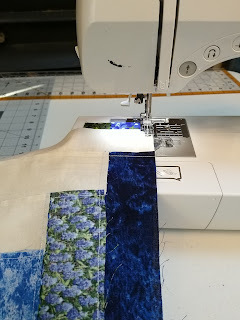 Once everything was pinned, I started quilting. I love the way it turned out. The batting was lovely to quilt through. And, the mid-loft showed the quilting lines quite nicely. After binding the quilt, I sewed a couple of rings on the back for easy hanging. 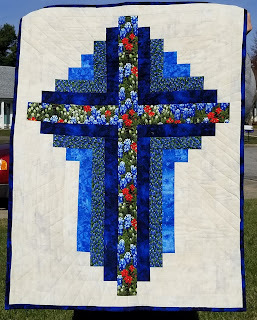 I am really pleased with how the quilt turned out. I ended up making two of these. One is hanging in a friend's home and another at a Christian school in central Kentucky. Thank you to Quilter's Dream for allowing me to try your batting. And, thank you for visiting! Make sure you follow our Facebook page and follow me on Instagram! I like all log cabin style quilts so I think this is a very interesting design. I also like reading your opinions of the Quilters Dream batting. I had never heard of fusible batting before! It really sounds like it could be such a helpful thing with the quilt sandwich process. Thanks for sharing about it! I would really like to try this batting and the fact that it's fusible is great! 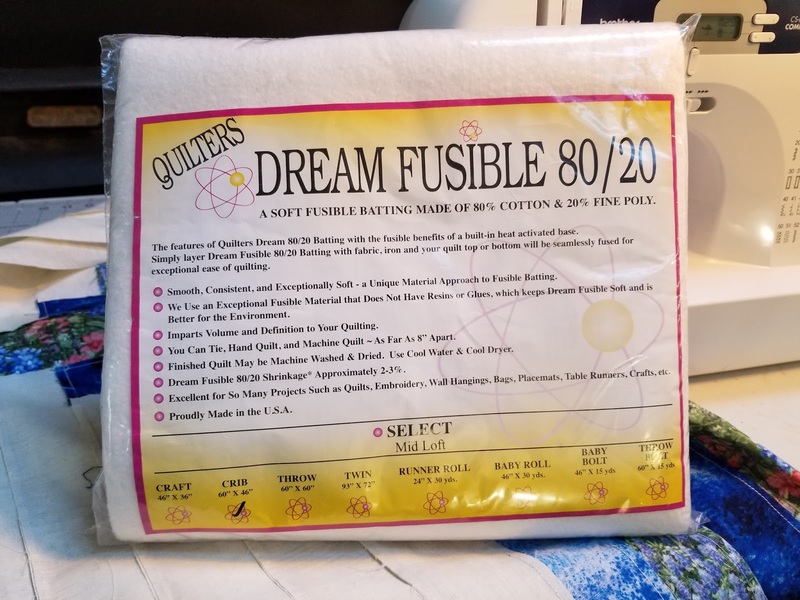 I would love to try quilters dream batting. I'm making a twin quilt now from mansewing. Thanks for sharing! Have to look this up! I really want to try this batting now. I’m not too fond of the spray adhesive method. could you give us the measurements of the strips? and backing? The strips are 2 1/2". I'm not sure about the backing. I don't have it anymore or I'd measure it for you. 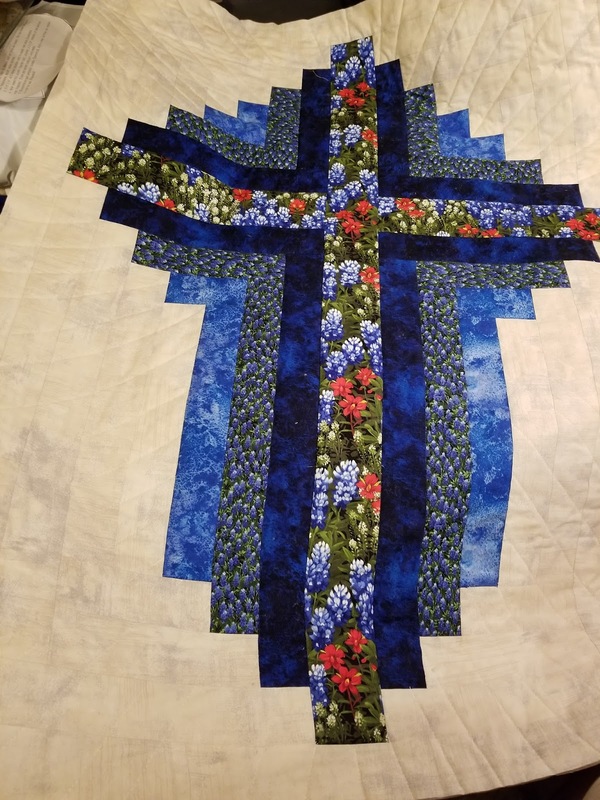 I paid 56.00 dollars for this from a site on Facebook last year for my mom for Christmas it turned out to be a scam site never hot the quilt or my money refund. Dont trust Facebook anymore.